I know what you are going to say. Another woman highlighting the fact that we have a female Doctor. Another woman that loves the new Doctor. Well, you’d be right! I’m not going to do a recap in full, that’s what BBC iPlayer is for! What I will do is pick out certain points from Jodie Whittaker’s first outing as the Doctor and explain why I am OBSESSED with her portrayal. Let’s start first with my background in Who before I get into my love for the Thirteenth Doctor. As some of you may know (or may have guessed) from knowing me, I’m Scottish. Which means I am technically British (it’s a sore spot for many Scottish people). I grew up in Scotland. I grew up before the new Doctor Who appeared on our screens back in 2005 with Christopher Eccleston playing the ninth Doctor. I grew up watching Classic Who on a Sunday afternoon with my parents. 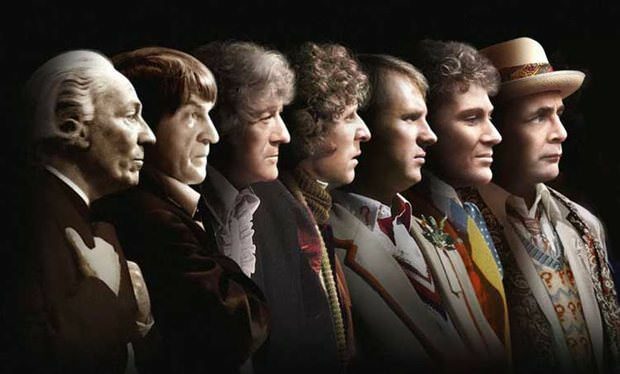 If you are a Who newbie, when I say Classic Who, I refer to the years 1963 to 1996 when we saw William Hartnell, Patrick Troughton, Jon Pertwee, Tom Baker, Peter Davidson, Colin Baker, and Sylvester McCoy play this iconic role in succession. After 26 years and seven Doctors, Paul McGann was hired as the 8th Doctor Who for the TV movie, which was hoped to reboot the series in 1996 but failed. Much was established during this 26 year period. The Doctor was a Time Lord who traveled from Gallifrey, his home planet, around space in his TARDIS: Time And Relative Dimension In Space, and eventually ended up on earth battling aliens with his time traveling ‘Companions’. Basics over. Now let’s take the training wheels off and jump into Modern Doctor Who. From 2005 until 2017 we have seen Christopher Eccleston, David Tennant, Matt Smith, and Peter Capaldi play the role. Over this time, we have had seven lead companions, six of whom were female, and one male. Sure, the Doctor had other companions, some of my favorite being River Song, the Doctor’s Wife (oops spoilers!) and Captain Jack Harkness aka The Face of Boe. We’ve had some classic villains over this fifty-five year time span. There’s the Daleks, the Cybermen, the Silence, and the Master (oh how I LOVE Missy – the female incarnation of the Master!). Others come from a single storyline, like The Empty Child and The Empty Child. There are episodes, Doctors, and Companions that stick out, all for various reasons, but last nights episode will forever stick out in my mind for reasons other than the monster of the week. 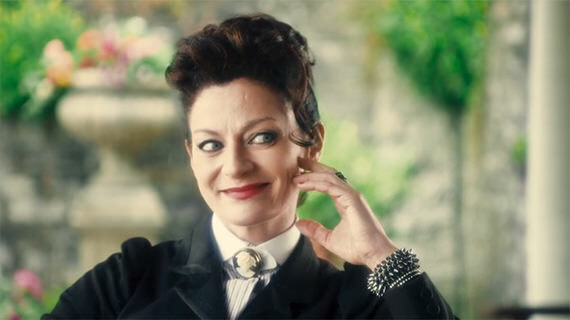 Michelle Gomez is the best Master, don’t @ me! You can imagine my utter elation when the Doctor’s hood was pulled back to reveal none other than Jodie Whittaker – A FEMALE DOCTOR! Finally! One of my childhood fictional heroes was going to be played by a woman! Her first appearance, as is the norm in recent years, was slated to be in the departure episode for the prior Doctor, making her first ever appearance 25th December 2017. In those episodes, we don’t get to see much of the new Doctor. The actor is normally still trying to figure out their characters personality and the focus of the episode is on the exiting Doctor. Last night, October 7th, 2018, saw Jodie Whittaker fully take on the mantle of The Doctor. This is the Doctor’s thirteenth regeneration. Over 55 years of Who, 26 years of Modern Who and 13 Doctors, we finally have a female Doctor Who! (Please excuse me if I repeat this several times because it will never get old!) I’m watching the episode yet again while I type all of this because I just love the new Doctor so much! This means that the following section will probably be in chronological order as I see things that I want to mention. From the second she fell through the roof of the train and took on the giant electric egg, I knew that Jodie Whittaker was the Doctor for me. I sometimes go through phases of watching Doctor Who, depending on who the Doctor is and who their companions are, but the thirteenth Doctor has my whole heart! The slow swell of the Doctor Who theme being played (and to match the first female Doctor, we also have a new theme arrangement!) with the Doctor being called Madam for the first time and realizing she had regenerated as a female sent shivers down my spine. There are several other moments that gave me goosebumps and made me want to start crying before bursting out laughing. Jodie Whittaker has the perfect balance of gravity and comedy needed for this role to remind me so much of Classic Who. Recently, Doctor Who has gotten pretty dark, and the lightness that is being brought to the role now takes me back to my childhood. Back then, the monsters weren’t scary because there was something the Doctor would do that would make me laugh. Last night was no exception. When the Doctor was feeling faint and stuck her finger up her nose to give a timeline on when she was going to keel over with the line ‘This new nose is so reliable’ I had to try and hide my chuckles to avoid making too much noise. My next YAAAAAASSSSS QUEEEEEEEN moment was in the building of the Sonic Screwdriver. The Doctor’s all have their own Sonic Screwdriver but seeing a woman build her own like a badass in welding gear with a spoon? That is something else entirely! And then to see her creation. Something that the Doctor created. A Woman. Welding and engineering a Sonic Screwdriver. Jobs stereotypically seen as men’s jobs. My jaw dropped! We then come to the main bulk of the drama where we see the Doctor in her action element coming up with plans, climbing up cranes, performing a death-defying leap across two cranes to save someone she only just met and using her brain to outsmart the monster of the week. In the process, she shows us just how much of a badass the Doctor is. Sure, we already knew the Doctor was amazing, but there is just something about seeing a female doing the kind of stunts and playing the roles that you have only ever seen a man do. To move from this action badassery to a speech about evolution and how people change is truly astounding. In this speech, the Doctor talks about how you can change and evolve as a person, to grow, while still honoring the person that you have been in the past and shaping your own future. Are you ready for more shivers? Because after this speech, she remembers who she is after fighting to find the right word to describe herself all episode. Those three words are enough to bring tears to your eyes. To finally see a female Doctor WHo and calling herself ‘The Doctor’ is everything I needed in my life. This is such an iconic role, and such a hero from my childhood, that I am flailing just seeing this GIF. After this, the Doctor forces the monster of the week to leave, saving the man on the crane. We’ll just ignore the tears from the next part, shall we? You made me fall in love with Grace just to rip her away from me. So, just like Mufasa’s death in The Lion King, I will be ignoring this until the day I die. I guess that leaves us with the Doctor’s new outfit. Every Doctor has their own signature look. Matt Smith had his Fez. David Tennant had his suit with converse. Tom Baker had his long stripy scarf. The Doctors outfit was revealed back last November, but seeing it in the episode is something else entirely! When the curtain is finally drawn back to reveal a look which has spawned so many cosplays within the past year, you guessed it, I GOT SHIVERS! It pays homage to so many Doctors, it is crazy! Let’s take the stripes on the shirt first. Does anyone get Tom Baker Scarf vibes? The jacket reminds me of Peter Capaldi. The suspenders? Totally Matt Smith! The boots are definitely a Christopher Eccleston throwback. But, the trousers are 100%, Jodie Whittaker! The last point I want to mention is something I discovered on my background reading before the episode aired. The knowledge that the Doctor is now calling the historically known ‘Companions’ Friends now is astounding! In the past, the Doctor has always traveled with someone, becoming entwined in their lives, marrying their children, making the hard decision to let them go, becoming emotionally attached to them. To finally call them friends is a huge step up! It shows, to me anyway, that the Doctor is more emotionally available. Probably because we have a female Doctor. It shows that the Doctor realizes that she becomes so entwined in their lives, that calling her friends ‘Companions’ diminishes the relationship that they have. So I guess that is it for my first ever Doctor Who article. If this is something that you would like to see us continue each week, let us know!